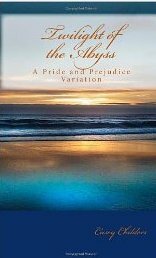 "It was my faith that things would somehow work out that allowed me to finish this book, as my distress for Elizabeth was so acute that I had to repeatedly put it down and bawl my eyes out....Twilight of the Abyss is a plunge into all the intensity of pain and happiness that love, so fickle, invokes." Needless to say, I'm intrigued. Click the pic to read Alexa's full, thoughtful review!